Prototype: AAE type Sgns four-axle container transport car, leased to RN/HRC. 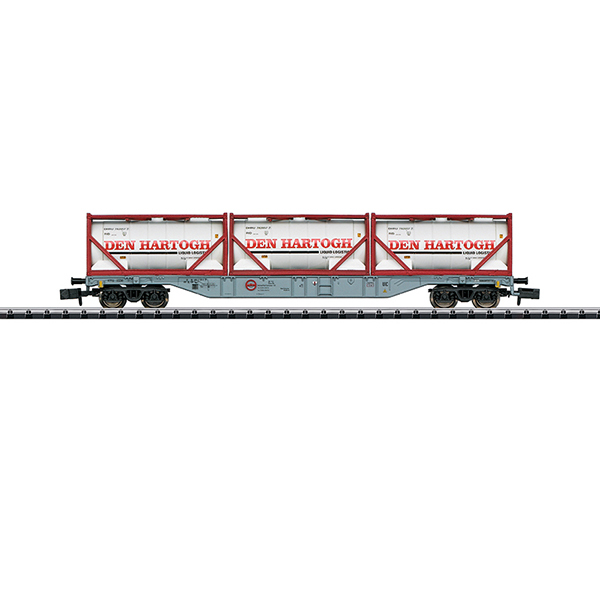 Loaded with 20-foot tank containers painted and lettered for the freight forwarder DEN HARTOGH. Model: The car frame is constructed of die-cast metal. The car has type Y 25 trucks and a close coupler mechanism. The car is loaded with 3 tank containers. Length over the buffers 123 mm / 4-7/8".